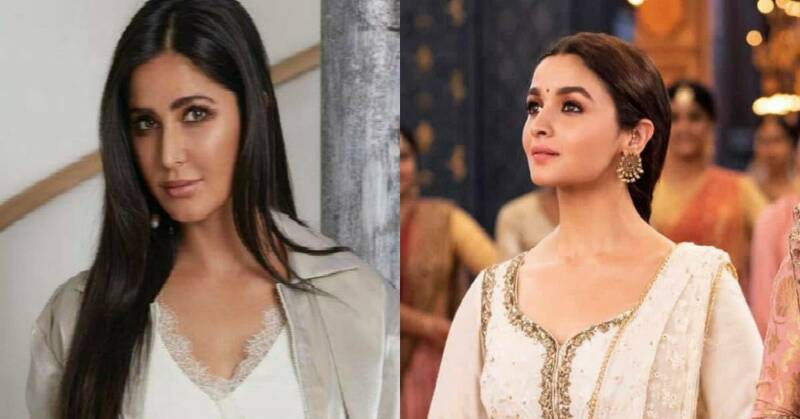 This Is How Katrina Kaif Reacted On Alia Bhatt's Dance Moves In The Song Ghar More Pardesiya From Kalank! It is safe to say that Kalank is one of the highest anticipated films of this year. The films stars Madhuri Dixit, Sanjay Dutt, Varun Dhawan, Alia Bhatt, Aditya Roy Kapur and Sonakshi Sinha in lead roles. The makers have released the first track from the film titled Ghar More Pardesiya in which Alia Bhatt has managed to stun us with her dance moves. Seems like along with us Alia has also mesmerized another celeb with her Kathak dance moves in the song and it is none other than Katrina Kaif. Alia shared a small glimpse of the song on her instagram. Kat could not help but praise Alia on her post and we couldn't help but agree with her. It is not a hidden fact that Alia is now dating Katrina's ex boyfriend Ranbir Kapoor. But seems like the two actresses have not let this affect their friendship. Katrina commented on Alia's post with three heart emojis and wrote, 'Well Done Alu..' Katrina also hade left a cute birthday wish for Alia on her birthday recently. The song is sung by Shreya Ghoshal and Vaishali. The film is directed by Abhishek Varman. It is based on the era of partition. Alia will be seen as the beautiful Roop in the film. The film will be releasing on April 17th, 2019.